Here we have another fun drawing lesson from the Vintage Drawing book in my collection! Today’s lesson shows us How to Draw a Cat. 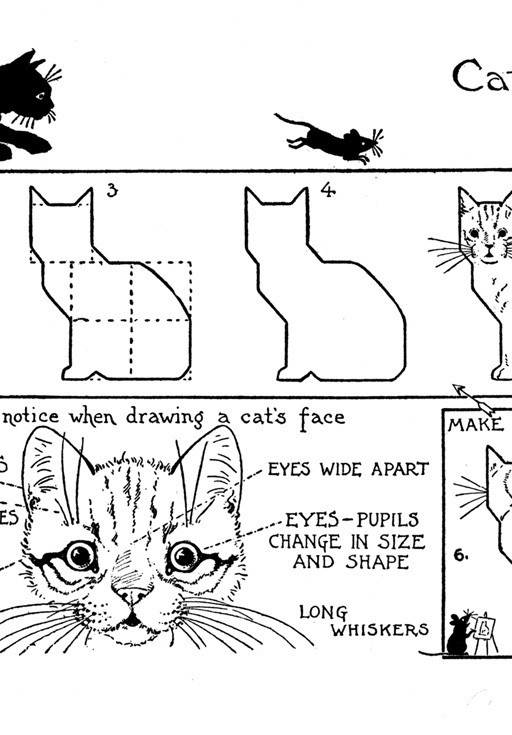 Shown below are how to draw the front of a Cat, the back, and also how to draw his (or her!) face. 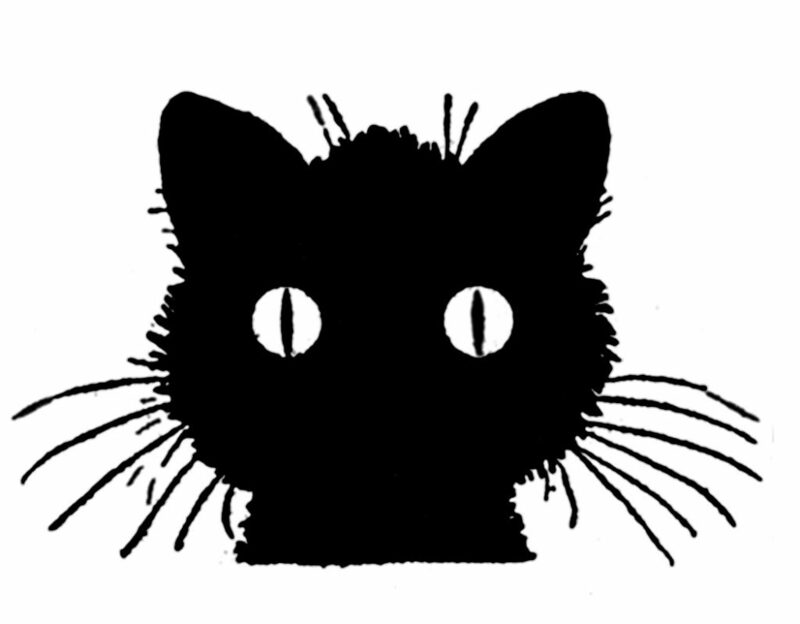 I just love the super cute Silhouettes of the Cat chasing the mice and the little Cat head Silhouette with his big bright eyes! 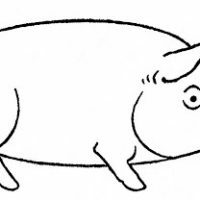 I think those images would be great to draw (or use as is by saving the image above) for Halloween Craft or Design projects too! Also, if you look closely there is a funny little Mouse Artist, who is creating his own rendition of the Kitty on a tiny canvas on the right side of the printable. So cute! 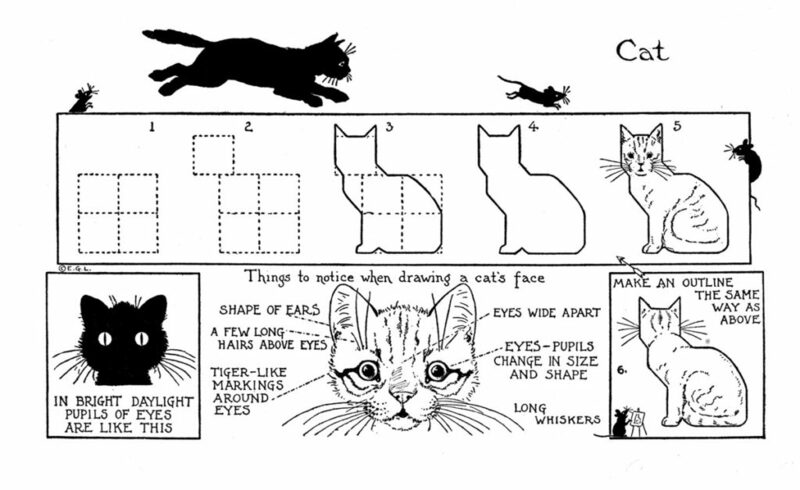 I’ve created a full page printable PDF of the Cats Drawing Lesson so that you can print it out and practice with it, whenever you like. 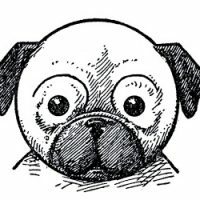 There are 6 steps included as well as some additional instruction for drawing the face. I hope you have fun learning How to Draw a Cat with this fun printable! You might also like some other drawing exercises from this same book. 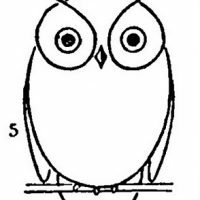 You an learn How to Doodle some Owls HERE, you can find the Bulldog drawing lesson HERE, we have the How to Draw Birds Lesson HERE and you can find instructions for Drawing Frogs on this post HERE. I love the Kitty just adorable!! Oh, I LOVE these, thank you! I’m in a cat-related stamping group, and the tutorial will make a great background! LOVE these. My kids love to do these. Super! I may use this for our next art class with my students! Thank you! Thank you for the cats! !